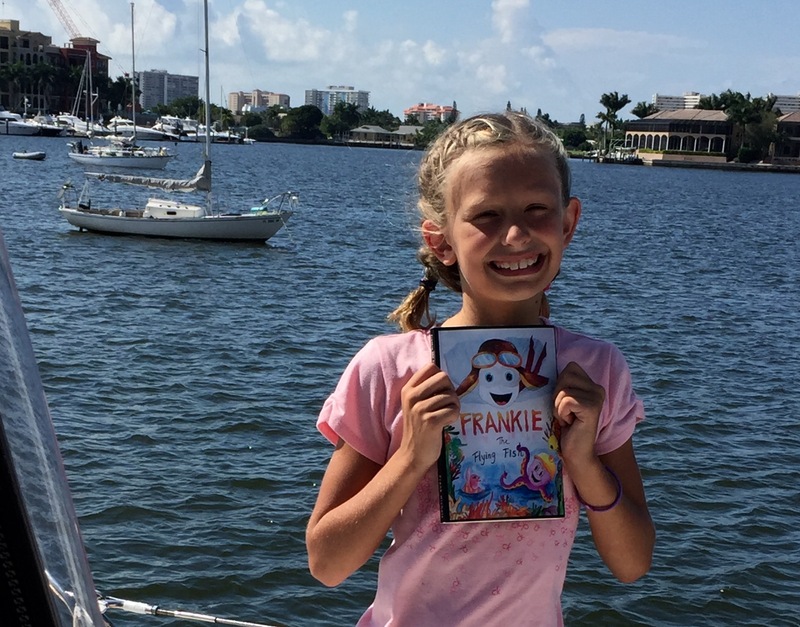 The book, “Frankie The Flying Fish” and Frank Nichols’ boat in the background. I’ve already finished reading it and I really, really liked it because it had an adventure. That’s how books are treasures forever. Hey Betty Boop, how are you? (It’s been too long since I’ve seen you, so you may not remember me.) I just learned of this blog today. I’ve read all your entries. You are one smart girl little sweetheart. I am looking forward to reading your posts. I have a friend at my end who is also nine years old. Her name is Elizabeth and I’m sure she would love to read your blog. I will tell her about you.